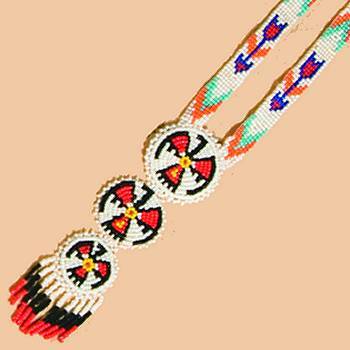 Beaded Thunderbird rosette necklace, triple w/fringe. Ideal for Indian outfits or gifts for any occasion. Please note: Colors are assorted and designs may vary.